Devotional of the Week: Are You a Competitive Christian? 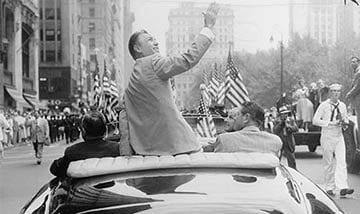 No professional golfer in history has faced greater challenges than did the great Ben Hogan. Hogan, known for his buttery swing, nearly died in 1949 at age 36 when he and his wife were in a head-on collision with a Greyhound bus. Hogan suffered multiple fractures and life-threatening blood clots. He was in the hospital 59 days and told he could possibly never walk again. Never playing golf again was a foregone conclusion. But the “experts” underestimated Hogan’s love of the game and his tenacious competitive spirit. Months later he won the U.S. Open. In Acts 14, it says that the Apostle Paul was stoned in the city of Lystra and left for dead, but then “He got up and went back into the city.” Too often Christians have propagated among themselves that Christianity equals passivity. Unfortunately, that is an extremely poor representation of Jesus and His mission to come into this world and save souls. Life may be a struggle sometimes and may even get the better of you, but I encourage you, by faith in Jesus stand in there and compete knowing that the One called King of kings and Lord of lords has you covered. 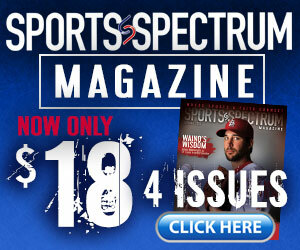 Scott Lehman is the founder of In His Grip and is a contributor to Sports Spectrum magazine. This devotional was taken from Sports Spectrum’s Spring 2015 Training Table, a 13-week devotional published in each Sports Spectrum print issue. Log in HERE to view the issue and read more devotionals.